Permits are required from the local County Building Inspection Division for water storage with 5,000-gallons and more. We can help with permitting with our engineering packages and wet-stamped cover letters that can be made by the project. We offer water storage for fire protection with firefighting adapter options and can help with the approval process. Water storage tanks need a permit in California when it has a capacity of 5,000-gallons or more. 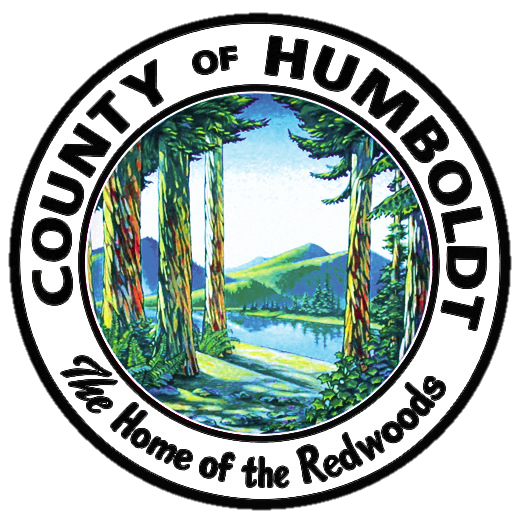 Local County Planning and Building Departments handle the permit application and inspection process, with the option of including other agencies (Public Works, California Department of Fish and Wildlife, etc) for comment. 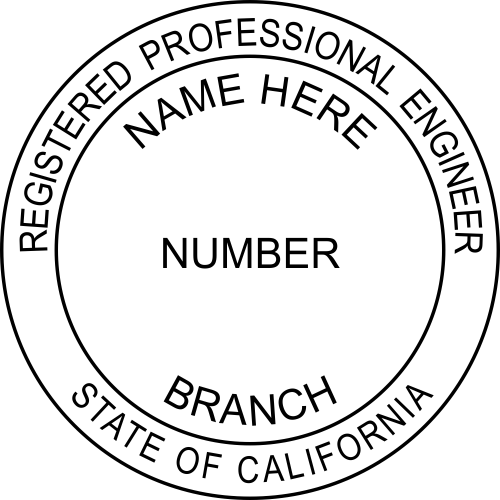 Pioneer Water Tanks are approved for use in California for drinking potable water storage, irrigation, fire protection and more. If your property needs water capacity because your current needs aren’t sufficient, our systems can comply with the permitting process and can include engineering packages by the project. Water storage for fire protection requirements is based on the local fire authority. The majority of fire departments in California are associated with a fire protection district who manage inspections, permits, enforcement directed by the local County Fire Chief. The water storage needs are inspected and required by the County fire and building codes, fire sprinkler requirements, fire flow standards, and estimated property needs. Cannabis cultivators are encouraged to use appropriate rainwater catchment systems to collect from impermeable surfaces (e.g., rooftops, etc.) during the wet season and store stormwater in tanks, bladders, or off-stream engineered reservoirs to reduce the need for surface water or groundwater diversions. 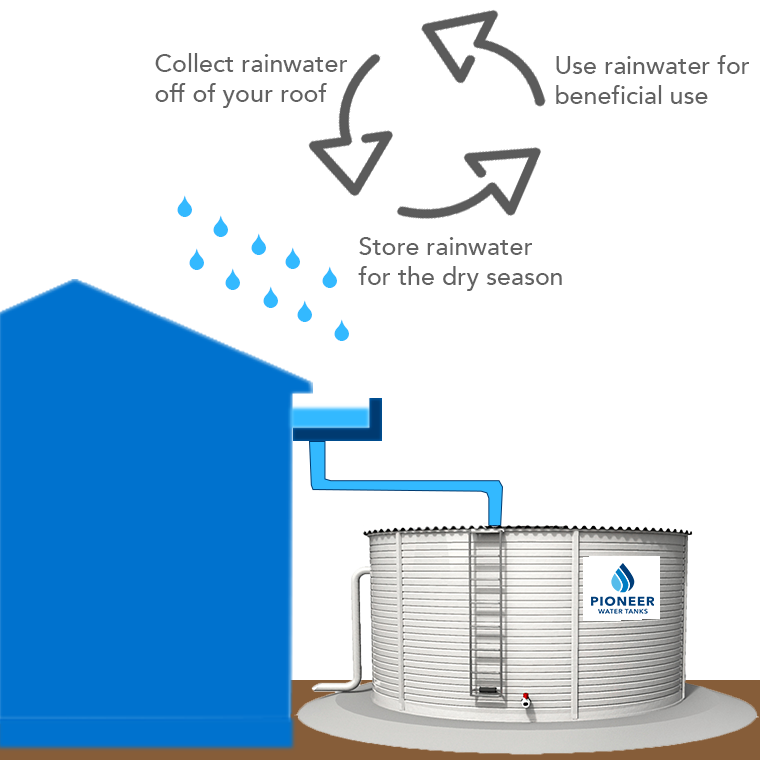 Rainwater catchment systems collect run-off from rooftops which is then stored for later use. Since collecting rainwater in this way does not require additional state permitting, it is a cost-effective solution to meeting some of your water needs. It is also encouraged by the California Regional Water Quality Control Board as well as most local authorities in charge of cultivation permitting. 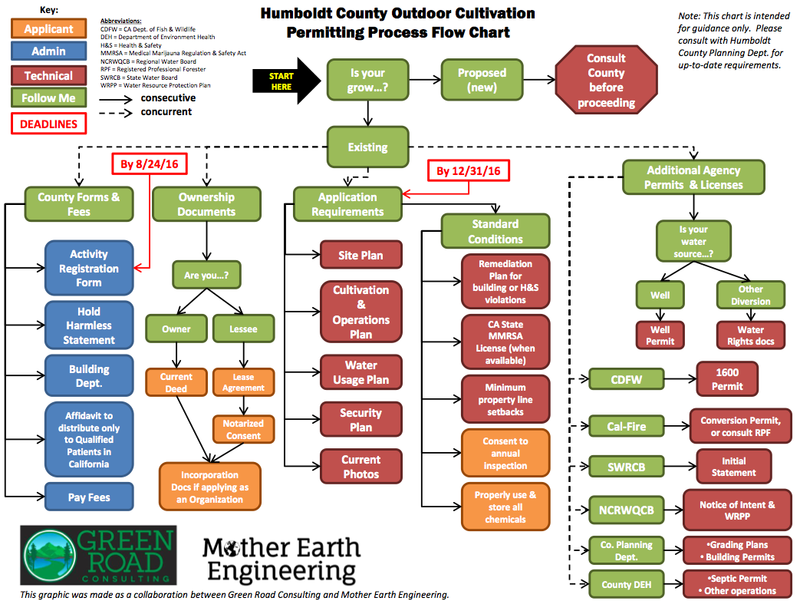 This chart was created to show the process of cultivation permitting for Humboldt County, with Green Road Consulting and Mother Earth Engineering. The pathway to proper permitting is authorized by the county where the property is located and could have changes be made at any time. The permitting process for cultivation was developed to ensure that the individual and cumulative effects don’t have a negative impact on the environment. There are five types of permits: cultivation, processing, manufacturing, distribution, and nursery. The type of permit that you have, along with the parcel of land will decide the type of water permitting is needed or not. Department of Food and Agriculture: Cultivation. Department of Public Health: Manufacturing. Department of Consumer Affairs: Distribution, Testing, and Retail. Apply for a permit locally based on local requirements and the type. For outdoor and mixed-light cultivation area permits, documented current water right or other non-diversionary sources of irrigation water (i.e. municipal, public utility or permitted well) must be included for a permit. Movement of earthen materials in, or alteration of, the bed and/or banks of a watercourse.